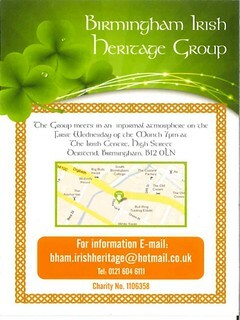 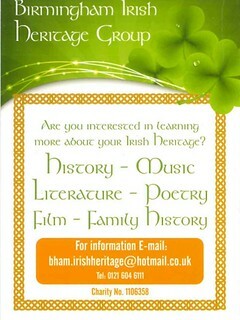 The Birmingham Irish Heritage Group meets informally on the first Wednesday of every month at 7pm at the the Irish Centre. 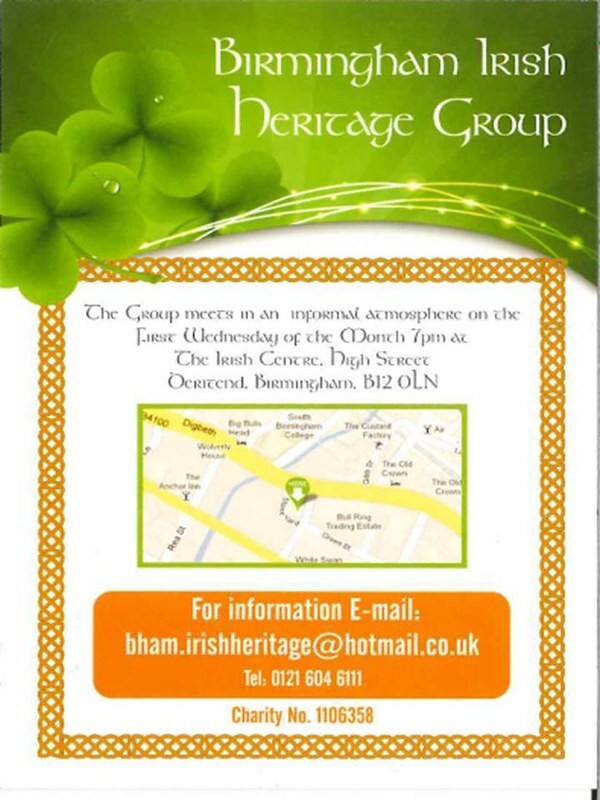 Usually, an invited speaker will lead a talk on their particular interest, which is then followed by questions, further discussion and refreshments. 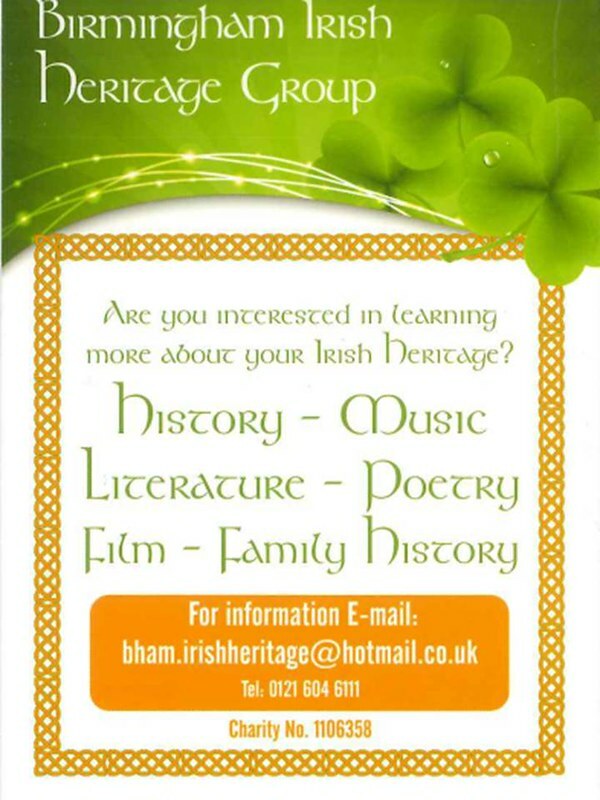 Events are free and open to everyone; for more information, please email bham.irishheritage@hotmail.co.uk or call 0121 604 6111.